Governor N.N. Vohra visited Leh yesterday to review the progress of development works in the district. He was accompanied by his three Advisors, Chief Secretary and Principal Secretary Planning, Development and Monitoring Department. After arriving at Leh, Governor held a meeting with Sh. Thupstan Chhewang, MP; Sh. Chering Dorjay, MLC and former Minister; Sh. Nawang Rigzin Zora, MLA, and former Minister and representatives of political parties. 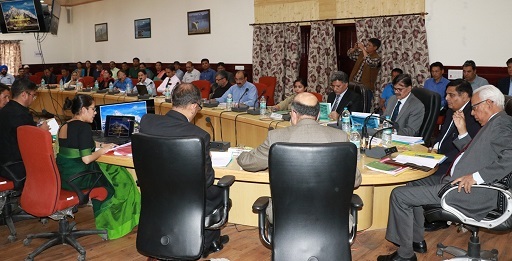 The Legislators raised a number of issues and sought increased capital allocations for Leh district and, besides, accelerated completion of all long pending works.